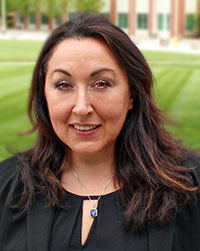 Deborah Penchoff is a JICS research affiliate who specializes in applying computational techniques with JICS' advanced computing resources to understand and separate rare earths, chemical elements that are used in many kinds of products and processes in our daily lives but are in short supply. She collaborates with theorists and experimentalists. What is your background and current role with JICS? Penchoff: I started here as a doctoral student, and after completing my PhD, I stayed at JICS as a research associate. Currently, I maintain my affiliation with JICS, and I am a post-doctoral research fellow at the Department of Chemistry and the Center for Advanced Scientific Computing and Modeling at the University of North Texas. What are the properties of rare earth elements, or rare earth metals, that make them so useful in modern products and processes? Penchoff: Rare earth elements, or rare earth metals, is a name that is given to a series of 17 chemical elements that includes the lanthanide series, scandium, and yttrium. These elements are particularly useful for products that we use daily in technology—electronics such as cell phones and computers; and in clean energy such as wind turbines, hybrid cars, electric cars, and many other items. But what is a bit deceiving is the name rare. The rare earth elements are not really that rare; in fact, there are actually some that are particularly abundant. For example, cerium is the 27th most abundant element. It is a lanthanide, so it is considered a rare earth element. The rare earth elements are particularly important for us, because if you think about very strong magnets or about technology such as cell phones or computers, you notice that they have gotten smaller and smaller. Now, cell phones have capabilities that, in the past, even computers didn’t have. These expanded capabilities can be attributed to strong rare earth magnets. For example, neodymium is a very important rare earth element for permanent magnets. The fact that they're so strong allows for technology to be reduced to a size that we can carry around. Also, very important applications exist for rare earth elements in national defense, for the military. Dysprosium allows for the magnets to maintain their magnetic properties when they're at high temperatures, which is also a very important application in defense. One more example is MRI. Doctors are able to obtain images of a patient’s body structure without exposing the patient to damaging radiation because of these very strong magnets. What are the economic aspects of the rare earth elements? Penchoff: If you think about the applications in which these rare earth elements are used, what would the economy be like if we didn't have enough materials to make them? The economy would be significantly affected. 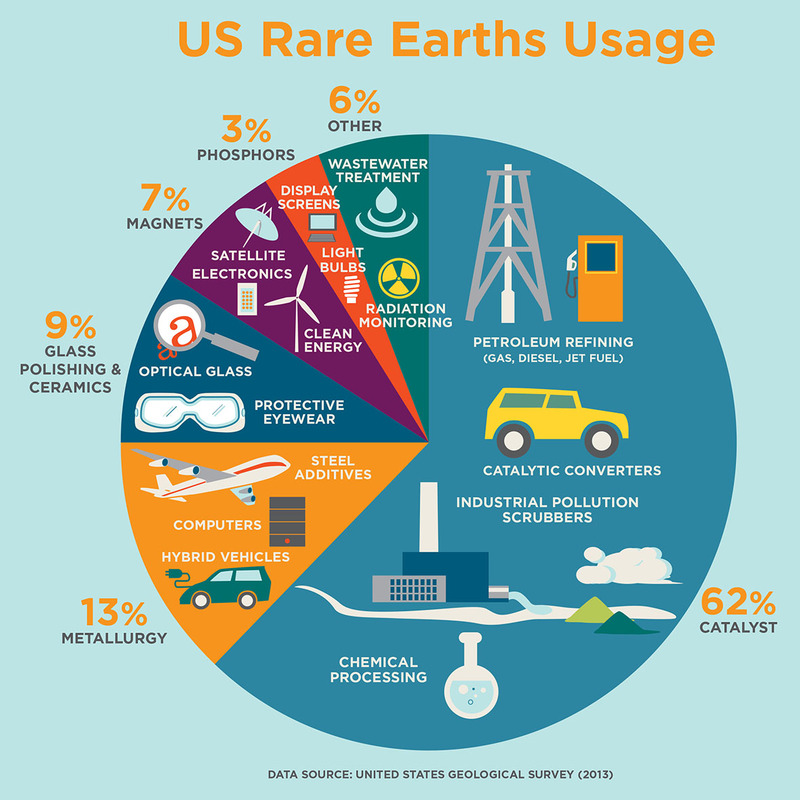 As of right now, according to a recent report, the U.S. imports about 95 percent of all the rare-earth elements that are used to make these products, with the majority being from China. What challenges are you and your colleagues using computational chemistry to address? Penchoff: Maintaining a certain supply of rare earth elements to continue our standard of living is essential. We need to obtain these materials so that we make advanced products with them. These elements are usually not found in a pure form. They are found with other metals, other elements from which they have to be separated, and there's a process involved in that. What we are doing is using high-performance computing to optimize these processes. We are trying to make reliable predictions about these processes. If we can design a better ligand [extracting agent] to separate these elements, we can lower the cost of a separation process. And we can try to identify a greener process before the design work is done in the lab. How have JICS' advanced computing resources helped you? Penchoff: There are many aspects of my research that I could not have done without JICS' resources. One particular difficulty of working with these rare earth elements is that they are a part of the f-block in the periodic table, which means the inclusion of many electrons in the structure and other complicating features that must be considered when you are doing theoretical or computational work. The calculations are expensive, taking thousands of CPU hours. And the resources at JICS were invaluable to me. We used Kraken, Darter, and Nautilus—they were fantastic. However, the support staff was also fantastic because they had to tailor codes and other features to allow this work to be possible on their systems. What are some of your findings that have contributed to progress in rare earth elements research? Penchoff: There is a recent development of a composite approach applied to lanthanides that allows for these accurate separation process predictions that I discussed earlier to actually be made. This was done with Charles Peterson and Angela Wilson at the University of North Texas, and it is very exciting because it has the potential to be applied to much larger systems in the future. Before this latest development, some of the focus had been on designing ligands for optimization of separation of lanthanides and actinides, and not only to separate them from original sources but also to recycle them, which is very important. It is important that the theoretical methods we develop allow for selective separations. We are also designing ligands to separate uranium from seawater. Although uranium is not a rare-earth element, this work is related to other areas we’re interested in. These are some of the latest computational results I've gotten using JICS' resources. You are submitting a couple of manuscripts about this research, correct? Penchoff: Yes, two are being submitted, and I am very excited about both of them. One is on the composite approach I've already described in this interview and the second is about the application of one of those methods to larger systems, which is very exciting because until now, we were mostly looking at trends using much more approximate methods, and now we are able to predict binding energies with better accuracy. What do you believe the implications of your work are for science and society? Penchoff: When we started studying rare earth species, there were challenges mostly because the computing cost is so high. JICS allowed me to address these species readily, so we were able to study over 1,000 compounds—all containing rare earth elements and some actinides. 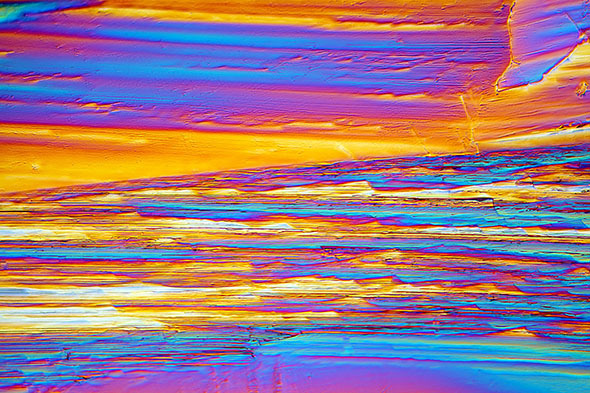 With that, we were able to see many trends and study characteristics of these compounds, and that helped us move forward and see what to do next. So, that was the initial step, but after that, we were able to make very good predictions as to which extracting agent would be more selective than others; this helps us toward our initial goal of optimizing processes so that we can separate these elements for use in various technologies. In the future, we will design more optimal processes, more selective ligands, and methods that will give us greater accuracy in our predictions.